THE WONDER CREW is the fascinating story of how the salty coach of the Annapolis crew team, Coach Richard Glendon, seized the sport of rowing first from the Ivy League schools and then the imposing British with a new style both uniquely American and very much his own. He took a group of young midshipmen with humble origins and dominated a sport once the domain of the privileged. After stunning the Ivy Leagues in race after race, the US Naval Academy team won a shot at the Olympics. Their task was nearly impossible: for hundreds of years, the British Navy ruled the world and their supremacy of the seas naturally made them dominant in the sport of rowing. With the hopes of a nation, Navy went into the heart of Europe and in thrilling fashion defeated the heavily favored Brits to win the gold medal in 1920. With Glendon's new American style, the US won Gold for forty straight years, the longest winning streak in any single sport in Olympic history. Rich in history, with brave characters, American ingenuity, and dramatic training and competition, THE WONDER CREW is the first comprehensive account of the 1920 Olympic Navy crew team and their inspirational coach who forged the dramatic story of their quest for Olympic gold. I'm a bit of a rowing geek, so I enjoyed this book.The background on rowing at the start of the 20th century, and the tradition of Navy crew and the Glendon family, inform anyone interested in the history of US rowing. The facts are quite well researched and interesting. The writing disappointed me.Ms. Saint Sing tries too hard to make nearly every subtopic epic and amazing.Her language is often superlative without any real support in context or description for the superlatives.It's a good story, but I prefer rowing narrative that is more understated and lets the reader come up with his or her own emotions and conclusions. For some examples of that kind of narrative, David Halberstam's The Amateurs is widely acclaimed and my favorite rowing book.Dan Boyne's historical works, including The Red Rose Crew and Kelly: A Father, A Son, An American Quest, are very fine works as well.Boyne conveys subtle points of rowing culture as well as broader points of social history without the grand overstatement of Saint Sing. The Wonder Crew magnificently covers the story of the coach and crew of the US Navy Academy in the early 20th century, their commitment to perfection in the art of rowing, and their pursuit of excellence in the 1920 Olympics where they upset the old order.The book is masterful and the story affirms how coaches, teachers, mentors often have an impact far beyond their immediate sphere. This book is great read.I am a rower and former coach but this book is written for rowers and non-rowers alike to enjoy.The author pulls you into another time when femle rowers (as many other female athletes of the time) were fighting to compete at an elite, international level in a male-dominated sport. The true story is told as a part of both college athletics' and Olympic history. The challenges both on and off of the water that these women and their coaches faced are shared so clearly that you feel you are actually watching it unfold. While I knew a lot about many of the key players from other books, and rowing connections, I learned even more about these inspiring individuals that laid the foundation for so many rowers and athletes to train and compete at the highest levels since. Very inspiring tale of women of various ages battling male chauvinism and their own physical abilities in rowing. I am the proud parent of a stroke rower. This story, of very different women, from widely geographic and psychological backgrounds, all coming together to do something no one had done before, is mesmorizing and grabs at every heartstring I have.The forward is equally compelling.I have met one of the Yale rowers in this story, and believe me, if she did half the stuff she is credited doing, I have even more admiration for her.This book taught me a bit about rowing, some equipment nuances, and training techniques.It gave me several nights of wonderful pleasure, some laughs, some tears.Now that this sport, like most others, is so scientific, so over studied (I guess we have the east germans to thank for that), it largely selects the athletes by performance.But the 'Red Rose Crew' had that intangible:spirit and guts. That doesn't always show up on ERG scores, or height charts.I am so glad I read this, and was able to share it with my daughter. The writing is clear, concise, and both narrative and dialogue where appropriate.Great work. 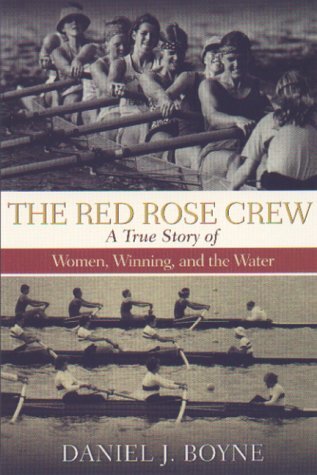 I purchased the Red Rose Crew both as a rowing coach and coxswain. I had heard of the book before but never read it. While it was a relatively quick read, it did provide some good insight into how women's rowing has evolved since the 1970s. It gave some wonderful descriptions of the various struggles the women went through, as well as the individuals who helped them along their way. It would be really nice to see a sequel, or something similar, that documents what women's rowing has become in the past twenty or so years. There is a decent follow-up of the individuals from the team at the end of the book, but I feel like I could have easily stomached another 100+ pages of what has happened since then. All in all, a good read and a good book to have if you know anything about rowing, and specifically women's rowing at the collegiate level and beyond. 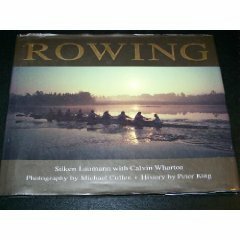 Originally published in 1988, this book tracks the performance of eight women, members of Canada's national rowing team. In this deeply personal and wonderfully enlightening book, the Olympic dream is described by young athletes who are living it: the high of winning and the heartbreak of losing, the pain of relentless training, fierce conflict with coaches and competition with rivals, and the fleeting magic of putting it all together in the perfect race.